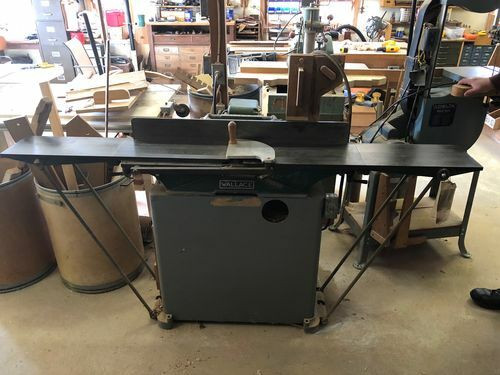 I’m in the market for a 6” jointer and have been searching CL for about a month. 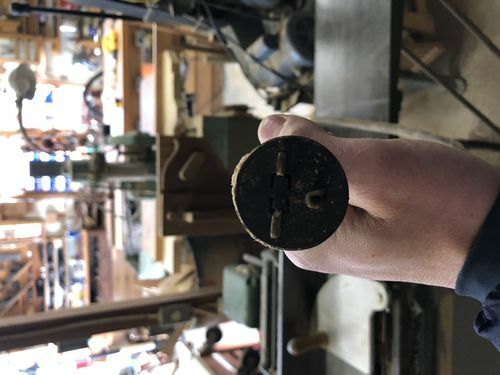 A Wallace Model 10 8” popped up and I went to look at it today. It was in great shape and ran very well. It’s 3PH but down converted to 1PH 220v. It has the long 76” bed and a good cleaning would have it looking great. The only thing is there is a small chip in the edge of the rear table at the blade (see pic). 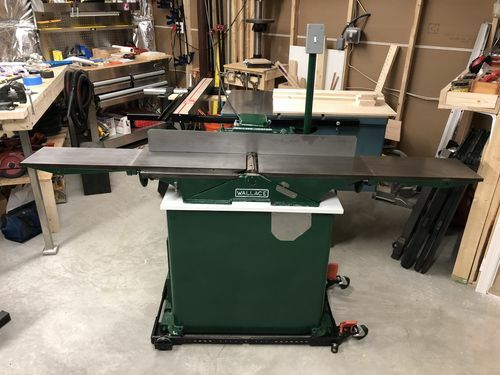 Does anyone have advice on these machines and if they are good investments for $350. The blade seemed to have a spiral head to it but are straight. The chip wouldn’t stop me. the drawbacks of owning them. It’s 3PH but down converted to 1PH 220v. What do you mean by ‘down converted’? If it has a static phase converter, plan on spending another $200 or so for a VFD, or more to swap out the motor. 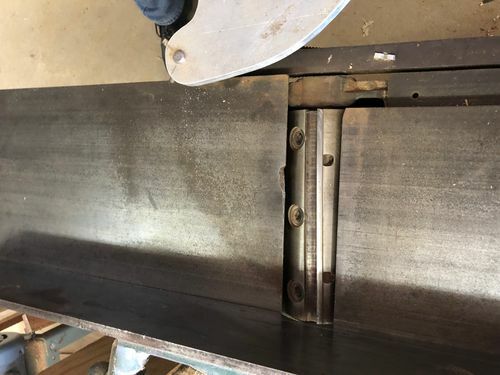 SPC’s will reduce the motors HP by roughly 1/3 and cause them to run unbalanced – increasing the heat buildup and reducing the insulation, and thus, motor life. I told the man I’d be ther thursday’s to pickup. The chip wouldn t stop me. 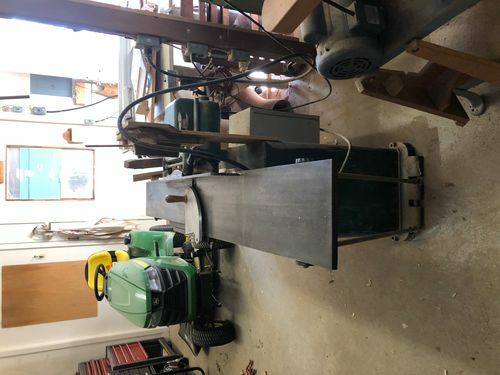 Well…..THe machine isn’tr hooked into the 3PH converter at the shop and the original owner has passed and I’m buying this from his son. 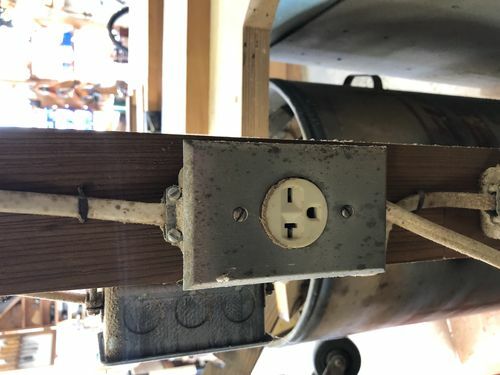 He’s not sure what’s going on with the electrical but there is a gray panel hooked to the back of the stand and a 220v plug at the wall and machine (per my electrician I showed pics to. see below. What do you mean by down converted ? If it has a static phase converter, plan on spending another $200 or so for a VFD, or more to swap out the motor. 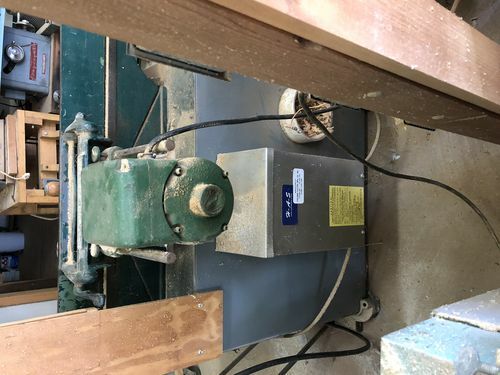 SPC s will reduce the motors HP by roughly 1/3 and cause them to run unbalanced – increasing the heat buildup and reducing the insulation, and thus, motor life. Assuming the tables are flat and that the 3ph>1ph is good, it’s certainly worth $350 IMO. 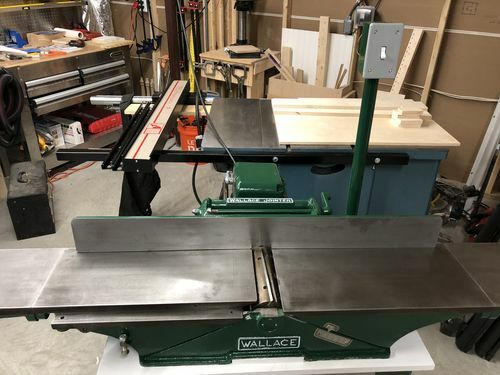 I’m finished the machine and it works great. Here are some pics.